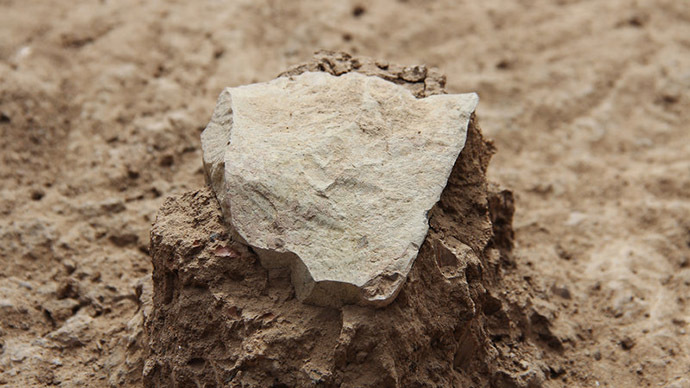 Archaeologists on a dig in Kenya made an unexpected discovery – 3.3-million-year-old stone tools that could disprove the theory that the Homo genus was the first to use such tools. The makers of the tools remain a mystery. The findings have been published in the journal Nature by a group of scientists, including Sonia Harmand and Jason Lewis of Stony Brook University in New York. The paperlists149 stone artifacts, which were discovered west of Lake Turkana in a remote region in northern Kenya. The tools were likely used for both flaking and pounding. The scientists behind the discovery believe that the tools could have been used for activities like busting open logs to get to insects and breaking nuts or tubers. The new artifacts have blitzed the record for the oldest known stone tools by a whopping 700,000 years. The long-standing belief that the Homo genus, which includes modern humans, was the first to use tools with sharp edges was further questioned by the discovery. “The idea was that our lineage alone took the cognitive leap of hitting stones together to strike off sharp flakes, and that this was the foundation of our evolutionary success,” Harmand told the Verge in an email. The tools are “sophisticated enough that they are likely not from the first time,” meaning that other attempts were likely made in the past, Harmand added. The archeological site was first discovered in July 2011 by Harmand, Lewis and the rest of the team, as they inadvertently began to survey the wrong area. The next big question the scientist face is who actually made the tools. “The jury is out on that,” Lewis said. One of the possibilities is, they were created by Homo genus not yet discovered by science, he added. Other guesses include genera outside the Homo branch like Australopithecus afarensis and Kenyanthropus platyops.